DEVENS, Mass., June 28, 2016 -- The Thirty Meter Telescope (TMT) has awarded AOA Xinetics, a Northrop Grumman Corporation (NYSE:NOC) company, funding to continue supporting the telescope's Narrow Field Infrared Adaptive Optics System. The AOA Xinetics (AOX) team will design and build a functional actuator mirror prototype with approximately 400 channels, drawing on decades of experience in delivering deformable mirror products for cryogenic environments, high altitude observatories, space-based systems, and laser weapon systems. The team will test the mirror against TMT operational requirements, including performance at -30Â°C. AOX will also design the two deformable mirrors required for the TMT Multi-Conjugate Adaptive Optics system, which will correct the atmospheric turbulence in three dimensions with more than one deformable mirror. The company's industry-leading reliability and intimate knowledge of materials properties combine to engineer high-stability actuators for TMT, building an optics system capable of surviving extreme stress, while delivering exceptional performance. TMT is a powerful, next-generation astronomical observatory that is scheduled to begin scanning the skies in the 2020s. The telescope is being built by an international collaboration including participation in the U.S. by the California Institute of Technology and the University of California. 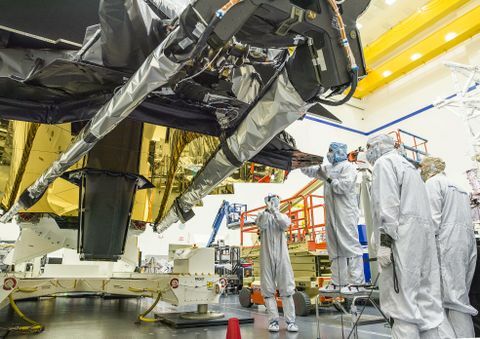 When completed, TMT will enable astronomers to study objects from our own solar system to forming galaxies at the very edge of the observable Universe, near the beginning of time. Operating in wavelengths ranging from the ultraviolet to the mid-infrared, TMT is an essential tool to address questions in astronomy that will improve our understanding of star and planet formation and the development of large-scale structure in the universe, and help unravel the history of galaxies. "Because TMT is being designed specifically with adaptive optics in mind, it could provide new observational opportunities in essentially every field of astronomy and astrophysics," said Roman Hachkowski, general manager, AOA Xinetics. "Thank you to the TMT team for continuing their collaboration with our work and the opportunity to be a part of this incredible program." 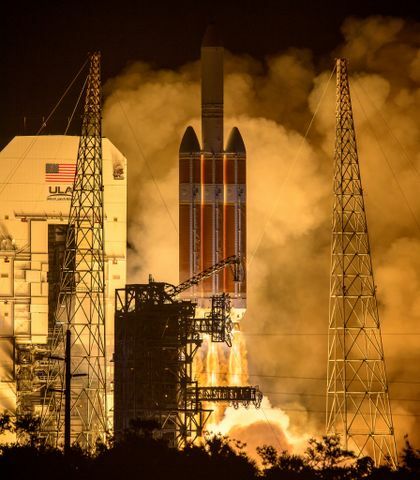 A leader in astrophysics, Northrop Grumman has extensive experience and capabilities spanning systems engineering, spacecraft manufacturing, precision sensors, space instrument design, ground stations development, orbiting space platforms, and more. 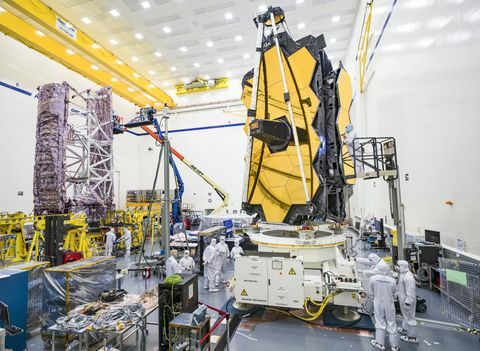 Northrop Grumman is under contract to NASA's Goddard Space Flight Center leading the industry team that designs and develops the James Webb Space Telescope's optics, sunshield and spacecraft. AOA Xinetics, part of Northrop Grumman's Aerospace Products business unit, designs, develops, and manufactures a wide variety of standard and custom electro-optic and optomechanical systems for government, industrial and commercial customers. Since its inception, AOA Xinetics has been manipulating light from the corner grocer to the edges of the universe, providing customers with the highest quality products and services.